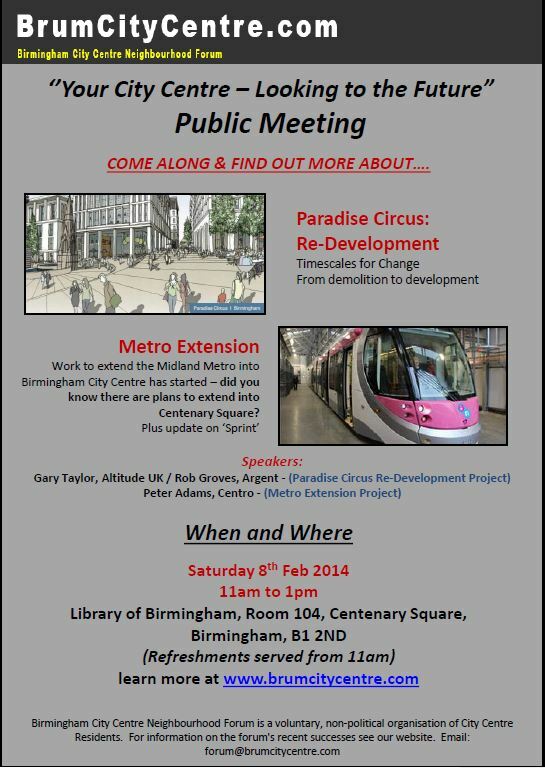 The Birmingham City Centre Neighbourhood Forum (the CCNF) is holding a (free) public meeting in the Library of Birmingham, Centenary Square. Plus an opportunity to put your questions. Plus the AGM – a short report on the last year’s activities and, even shorter, election of the new committee. Light refreshments will be available from 11am. This entry was posted in City Centre Neighbourhood Forum, Forum Public Meetings on January 27, 2014 by Geoff Caine.